​Join us for a fun night of painting at the Palm House! Want to kick off 2018 with a workout class + contribute to a great cause? Join The Princess Project SF at The Bar Method (3 Embarcadero) for a fun-filled barre class! Bond with your friends, family, coworkers, etc. over some mouthwatering pizza, while helping to promote self-confidence and individual beauty for high school teens! 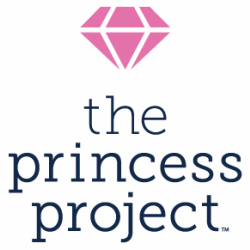 10% of sales all day (excludes alcohol, catering, gift cards, and taxes) will be donated to the Princess Project. Please join the Princess Project SF Chapter for our first fundraising event at Lawton Tap Room for some Thursday night fun on November 16 from 6:00 -8:00 PM. All tips will go directly towards the Princess Project SF Chapter. See you then! Join us for a night of music, drinks & appetizers, speakers, auctions, a fashion show and more! All tips benefit the Princess Project. Our second-annual SoulCycle charity ride!